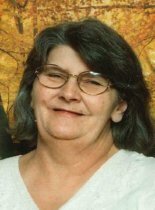 Martha Mary Jane Barritt was born March 6, 1944, in Dyersville, Iowa, daughter of Anton and Clarabelle (Miller) Hildebrand. She spent most of her life in Iowa working several jobs including Ertle Toys and County Relief in Manchester but also spent several years in Texas working in healthcare in dietary and housekeeping. Martha loved to help people and to make them happy. In her free time she liked to put together puzzles, bake, decorate cakes and do arts and crafts. Martha died on Sunday, January 17, 2016, at the University of Iowa Hospital and Clinics. She was preceded in death by her parents; son, James Bissell; one brother, Donny Hildebrand; two sisters: Josephine Porter and Rosemary Cairy. Martha is survived by a son, Thomas Bissell of Cedar Falls; five daughters: Trudy Mastin of Manchester, Cathy Bissell of Manchester, Rose (John) Hadley of Delaware, Iowa, Sandy Long of Waterloo, Jeannette (Josh Cornwell) Stephens of Waterloo; two brothers, Paul (Janet) Hildebrand of Marian and Andy Hildebrand of Manchester; and grandchildren: Joyce, James III, Kelly, Shawn, Donald, Rachel, Jordan, Jasmine, Justyce, Neveaha, John III, Crystal, Zack, David, Tiffany and Ashley; and numerous great-grandchildren.